“We will fight, we will die and we will take back our rights,” the farmers were chanting. The farmers were also shouting, “Hail to farmers, death to tyrants,” a reference to government officials who have contributed to the water problems of the province. On Sunday, December 30th, students from Tehran's Azad University of Science and Research protested for the second consecutive day in protest of the loss of their 10 classmates during a bus accident. In the course of this move, the university president fled by his car from the university instead of answering the students. On Saturday, thousands of students also rallied for the same cause. Astronomical thefts and plundering the people's assets by the leaders of the mullahs’ regime have made Iran one of the most vulnerable countries in the face of incidents such as traffic accidents, fires, earthquakes, and so on. Students of the Science and Research University in Tehran, the capital of Iran, held a major rally on Saturday morning expressing their anger over Iranian regime authorities in this facility. The students were grieving the loss of their classmates killed in a recent bus accident and holding incompetent regime officials responsible for the incident. Truck drivers throughout Iran have launched a new, fifth round of nationwide strikes across the country . According to previously made arrangements, truckers will be on strike until December 31. The drivers are protesting low wages as prices are skyrocketing throughout the country. On Sunday, protests by workers and other underprivileged classes of the Iranian population continued in several cities. Iran’s truckers, who had previously declared a 10-day strike, entered the second day of their protests. According to local reports, truck commutes in many of the country’s highways had stopped altogether. 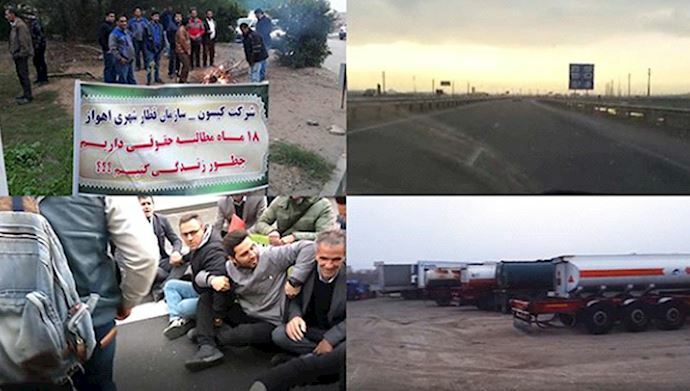 The strike of truck drivers has also spread to many other cities including Mashhad, Isfahan, Sari, and Bushehr. Since the beginning of the year, teachers of Iran have been intermittently demonstrating and going on strike to protest against the trampling of their rights by the Iranian regime. 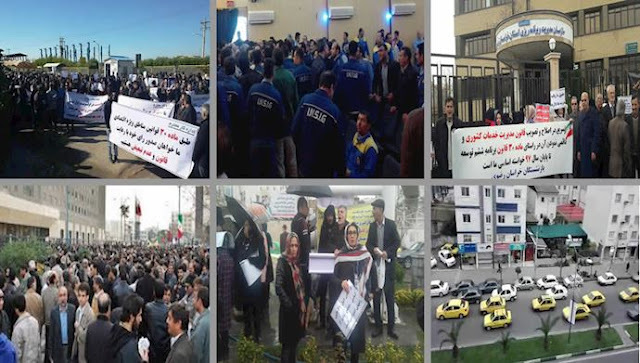 More recently, the teachers of Isfahan came to the streets and gathered in front of the offices of the education ministry to protest against the Iranian regime’s lack of response to their demands. The demands of the teachers and education workers included the release of their imprisoned colleagues, health insurance for retired teachers, the increase of the budget of the education sector and the increase of the salaries of teachers and university professors. Political prisoner Abolghasem Fouladvand, currently held in Gohardasht (Rajaie Shahr) prison of Karaj, west of Tehran, wrote a letter expressing his support for the protests staged by employees of the National Steel Group in Ahvaz, southwest Iran. Fouladvand also condemned the mass arrest of these workers who have been on strike for more than a month. 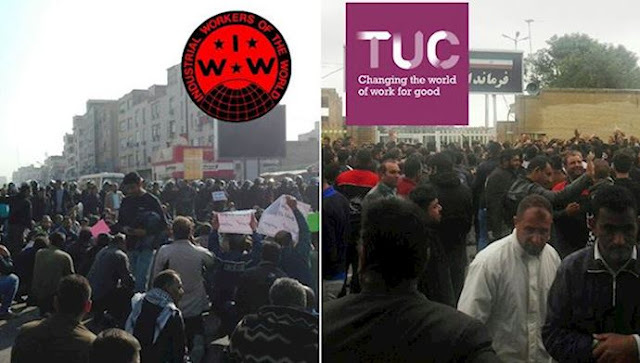 he Trade Union Congress (TUC), one of the largest labor unions in England and Wales with 5.6 million members, issued a statement condemning the Iranian regime’s ongoing crackdown of workers, college students and other protesters across Iran. The TUC also expressed its solidarity with employees of the National Steel Group in Ahvaz and Haft Tapeh sugarcane mill in Shush, both in Khuzestan province of southwest Iran. 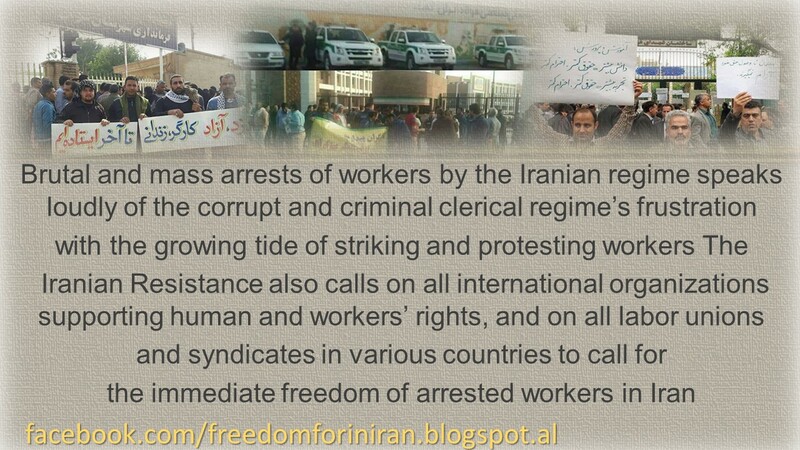 The TUC condemned the raids by security forces into the homes of many protesting steelworkers across Ahvaz and their arrests, emphasizing the apprehended workers must be immediately released. As we near the first anniversary of the Dec/Jan uprising that shook the very pillars of the mullahs’ regime in Iran, people from all walks of life are launching protests and strikes, courageously making their demands heard. Employees of the Arian Foolad (Steel) Buin Zahra, west of Tehran, rallied on Wednesday outside the mayor’s office, expressing their support for and solidarity with the protesting National Steel Group employees in Ahvaz, southwest Iran. Suppressive security forces of the ruling religious fascism in Iran conducted midnight raids in Ahwaz on Monday for the second consecutive night. The raids targeted the homes of Iranian National Steel Industries Group (INSIG) workers and led to the arrest of more workers. Dozens of workers arrested Sunday night and Monday are still in detention. Many workers are spending nights outside their homes to avoid arrest. The steelworkers are entering the 39th day of their strike and protest action despite the repressive actions of the regime. They announced that they will continue to strike until the last steelworker is freed from detention. Hundreds of pensioners protesting outside the regime’s Parliament in Tehran voiced their support for the striking Ahwaz steelworkers on Tuesday morning. The protesters shouted: “From Ahwaz to Tehran, workers are in jails”; “Free the steelworkers”; “Imprisoned workers must be freed”; “Imprisoned teachers must be freed”; “Government engages in crimes, parliament supports it”; “Free insurance is our right”; “The enemy is here, they lie to us that it’s America”. 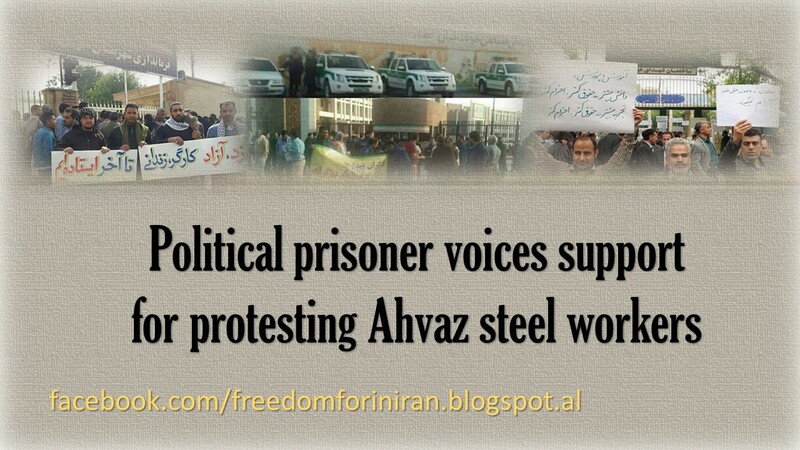 The arrest of representatives of Ahvaz Steelworkers and protesters, which started last midnight (Sunday, December 16), continued on Monday, December 17. The number of detainees has reached dozens, the names of 31 of whom have been published so far. Saluting the brave and adamant workers of Ahvaz, the Iranian Resistance described the brutal and mass arrests on Sunday night and on Monday as indication of the frustration of religious fascism in the face of the strikes and protests of workers, and called on all workers and youth and students, especially in Ahvaz and Khuzestan, to support the striking workers of Ahvaz. It also called on international human rights and workers' rights advocates and workers’ unions and syndicates in different countries to support the striking workers who are protesting for their basic rights, and to take necessary measures for the release of the arrests. 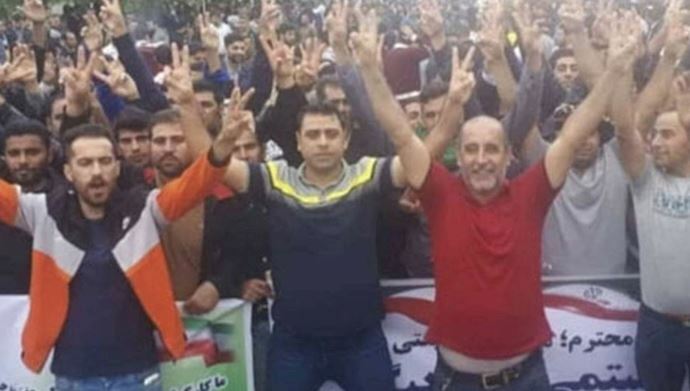 he Haft Tapeh Sugarcane Workers Syndicate issued a statement on Wednesday announcing the release of Esmaeel Bakhshi, a worker and workers’ representative of Haft Tapeh in Shush, southwest Iran. 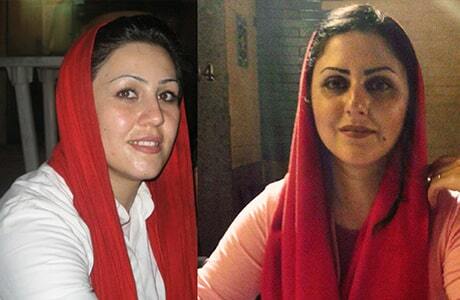 Evin political prisoners Maryam Akbari Monfared and Golrokh Iraee sent out an open letter in support of the continued protests of the workers of Ahvaz Steel and Haft Tappeh Sugarcane factories on Sunday, December 2, 2018. As living conditions continue to become more difficult and more than 80 percent of Iranians are living in poverty, protests by people from all walks of life are mushrooming across the Employees of a ball-bearing factory in Tabriz, northwest Iran, rallied on Tuesday protesting not receiving their paychecks for the past four months. This is the country’s largest ball-bearing factory. On Tuesday, December 4th, days before the National Student Day (December 7th), students from various universities including Tehran Polytechnic, Tabriz Sahand, and Babol Noushirvani staged protest rallies. 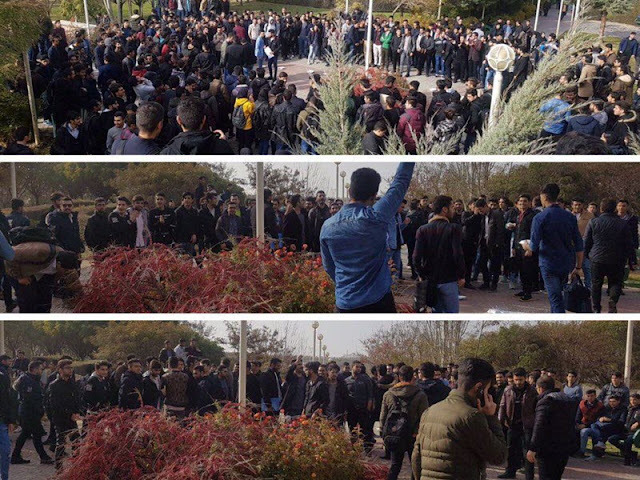 In Tehran, students of the Polytechnic University resisted and confronted and clashed with the Basij mercenaries who intended to disrupt the gathering. Students chanted: Imprisoned workers must be released; Imprisoned students must be released; Cannon, Tank, Machine Gun do not work anymore; Real teacher should be released; Death to this deceitful government. At the Chamran University of Kerman, ‘Herasat’ department, a branch of the Ministry of Intelligence at the universities, has imposed a repressive instruction. According to this medieval instruction, students are forbidden from going to each other's rooms, and if a student is seen in another room, students in that room will be fined 100,000 tomans. On Tuesday, December 4th, deprived workers of Ahwaz steel continued their courageous strike for the twenty-fifth day. The strikers rallied outside the regime's governorate and in the city bazaar with the slogans: Our country is the place of thieves, it is unique in the world; neither the ruler nor the government minds the nation; Worker would rather die than accept humiliation; Imprisoned workers must be freed. 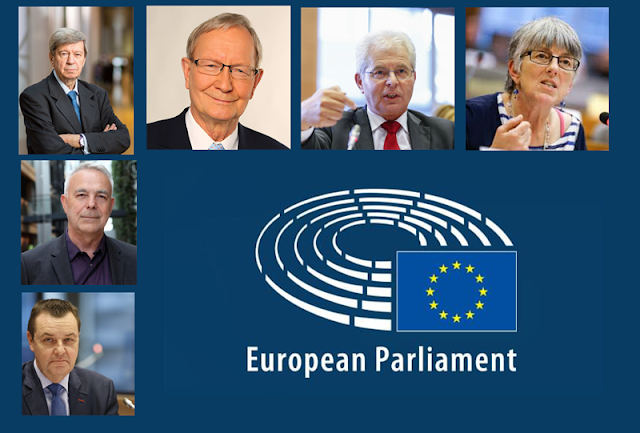 As the regime ruling Iran faces increasing regional and global isolation, protests and strikes are escalating across the country, causing an even more concerning crisis for the mullahs’ regime. 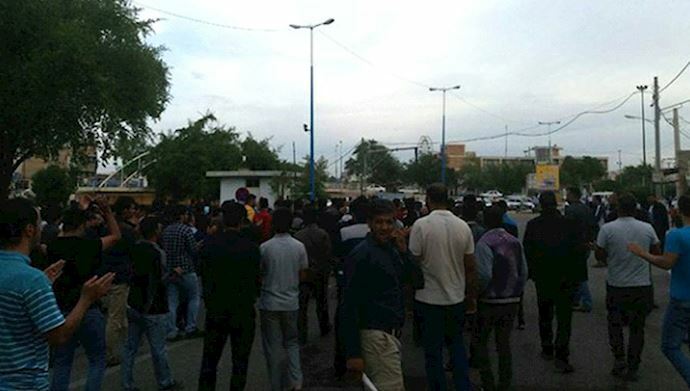 On Monday, the workers of the Iran National Steel Industrial Group returned to the streets of Ahvaz, Khuzestan, to protest for their most basic rights. The workers have been demanding the payment of their overdue salaries for months. On Sunday morning, the workers of Haft Tapeh sugar cane factory in Shush, Khuzestan province, returned to the streets for the 28th day to demonstrate and demand their rights. The workers, who have been on strike for four weeks, are demanding their unpaid salaries, job security, the ouster of the private owners of the company and the release of their imprisoned colleagues. The Greater Tehran Bus Syndicate issued a statement condemning the arrest and beating of Esmaeel Bakhshi, a representative of the protesting Haft Tapeh sugarcane mill workers in Shush, southwest Iran, and demanding his immediate release.